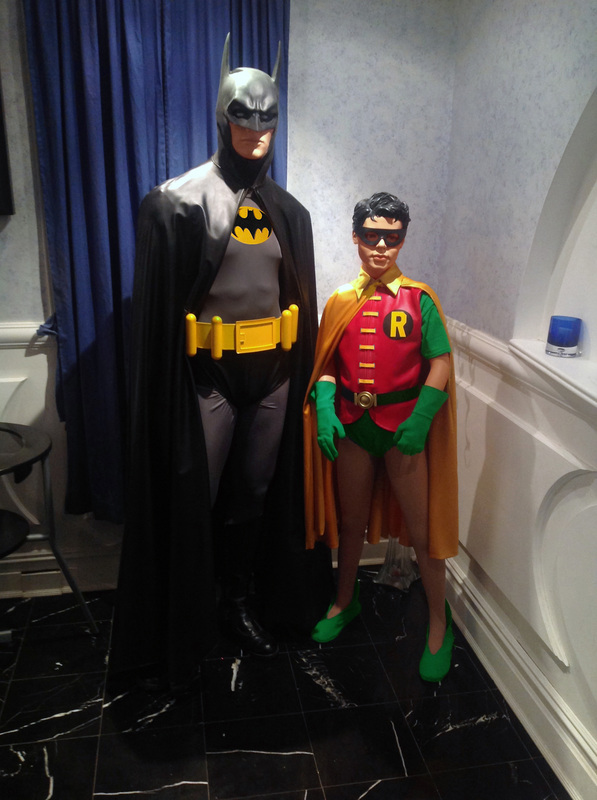 After approximately 4 months of design, fabrication, construction, and paint work, these are the final Batman and Robin The Boy Wonder uniforms that will be featured in "Fathers Of The Dark Knight". These outfits reflect Costume Designer Roberto Williams' focused effort to create live-action versions of the original character designs as created by Bob Kane, Bill Finger, and Jerry Robinson. For more than five decades in the pages of the comic books, these classic costume designs remained virtually unchanged.